Seeing is believing! 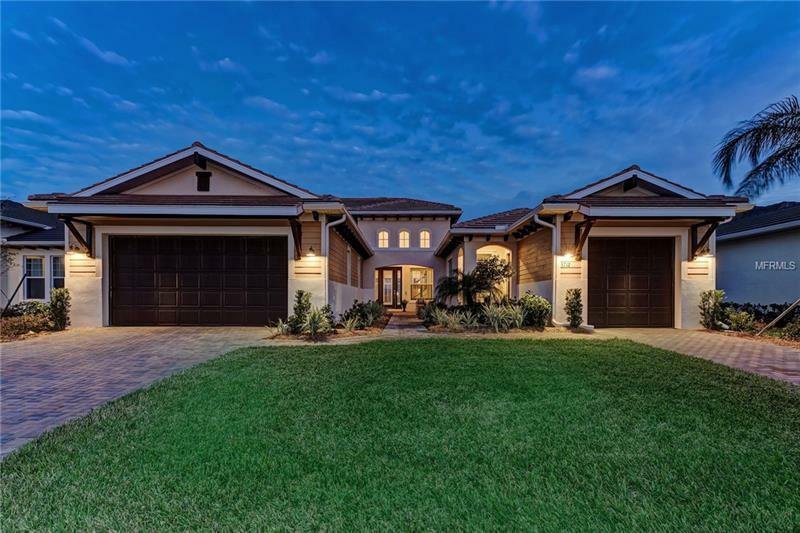 Come see this stunning home being SOLD FURNISHED in Tidewater Preserve and you will never want to leave. Live in this model-like home and enjoy all that upscale, waterfront living offers. Tidewater is known for its timeless beauty and easy water access. A huge clubhouse with Olympic sized pool and ALL amenities abound including community marina with very affordable boat docks to rent so that your boat is within easy and secured reach. An entertainerâs dream with gourmet kitchen, another full outdoor kitchen, storage galore, a large heated private pool, and a huge media room with A+ components, wet bar, and full bath. Enter your grand foyer and behold true open space living with kitchen, dining and downstairs living areas all flowing together. Open the disappearing sliders to your giant screened lanai and behold indoor/outdoor living at its best! All windows and doors hurricane rated. Three full suites with private baths with stone surfaces, listellos, and a large soaking tub in the star-quality master suite. Four and a half baths. All lighting upgraded and gorgeous. Whole-house wifi extenders. Three garages leave plenty of room for your âtoysâ and belongings. A tankless water heater, Nest thermostats, Ring front doorbell security, and fans in all bedrooms. Whole-house plantation shutters. Low HOAs for amazing amenities including a full time social director, a tennis pro and more. NO CDD fees. Close to shopping, sporting events, endless golf, and the most beautiful beaches on earth! Amenities Additional Fees: One time Capital Contribution to be paid by buyer of $500 to the Resale Capital Contribution and $500 to the Resale Landscape Contribution for a total of $1000 as disclosed on the Homeowners Association Disclosure.